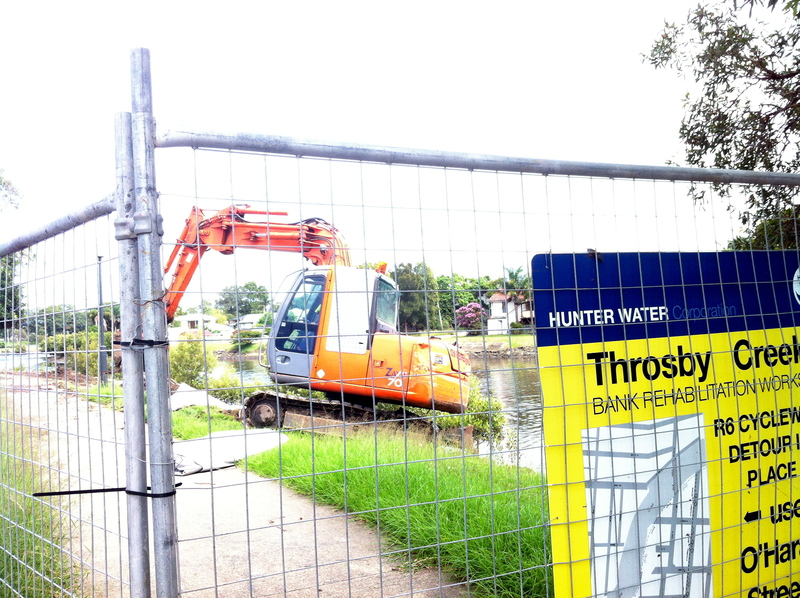 Over a month ago I put up this post about the Throsby Creek closure. The workman I spoke to said it would only be another two weeks or so but it has now been over a month. When I went there earlier in the week, I saw this … The same thing happened the year before last at Westfield Kotara when the cycleway was being constructed and altered there. The signage indicated that it would be closed for 3 months but in fact the closure was more like 5 months, creating a lot of inconvenience for cyclists. This would not be tolerated for a road closure, yet our city fathers do not seem to mind causing great disruption to cyclists for prolonged periods of time. This entry was posted in activism, Bike tracks and tagged Bike tracks, cycleways, infrastructure, newcastle, newcastle bike tracks, Throsby Creek. Bookmark the permalink. 3 Responses to Throsby Creek still closed! Hi Vicki. I’m hoping this goes through to you. I’ve been trying to respond for two weeks, I don’t want a word press account as now people can’t link to my blog, but I wanted to correspond with you. Anyone else having trouble? I’m trying to respond by my normal way again.